With Google Drive, you can do more than just create, store, and share stuff. A variety of apps can help with everything from editing spreadsheets to signing documents electronically. 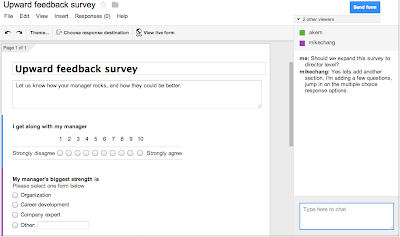 Scale: Whether you’re collecting responses from ten friends for a baby shower or ten thousand attendees at a conference, you can count on Forms to reliably collect data for any number of responses. 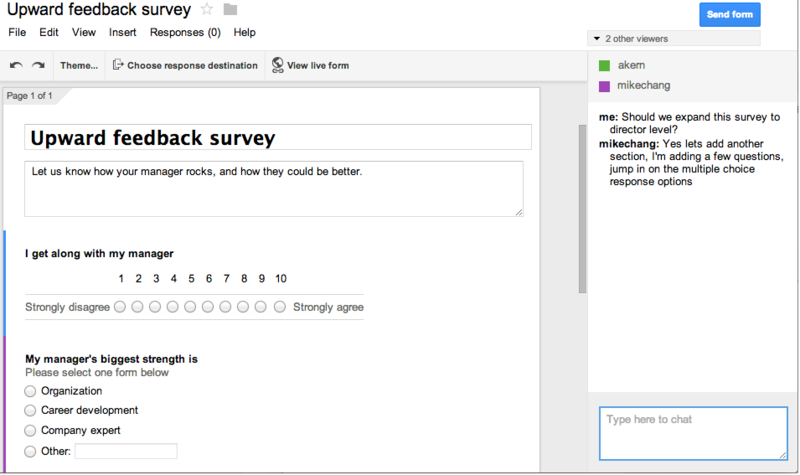 Analyzing: See the responses you’ve received right in Google Forms or collect them neatly in Google Sheets. And you can now download a .csv file for more detailed analysis and reporting. 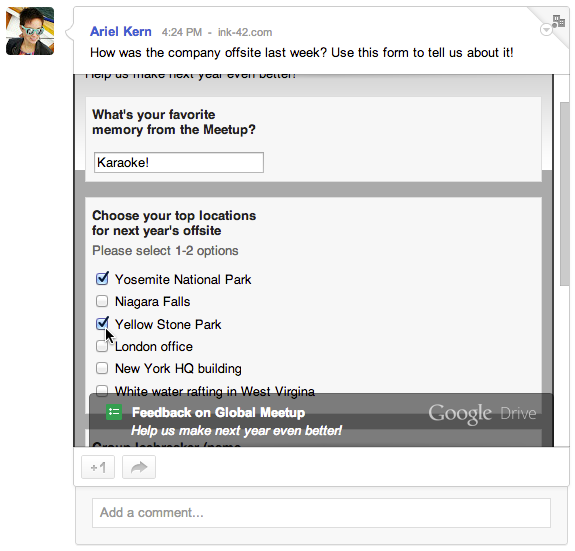 Sharing: If you share a form directly in Google+, anyone in your circles can respond without leaving their stream. 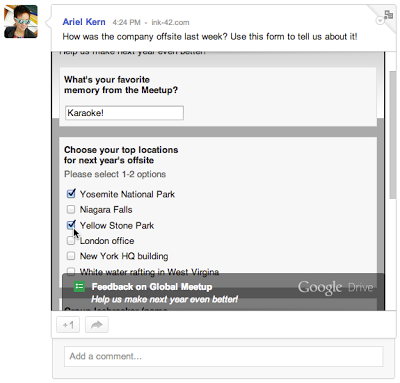 Or if you send a form via email, respondents can submit their answers right from Gmail. This update to Forms will be rolling out...in the coming weeks. You can create forms directly from Google Sheets or Drive, or install the Chrome Web App for easy access from your browser. Also check the Google Drive +page all week for tips and tricks.